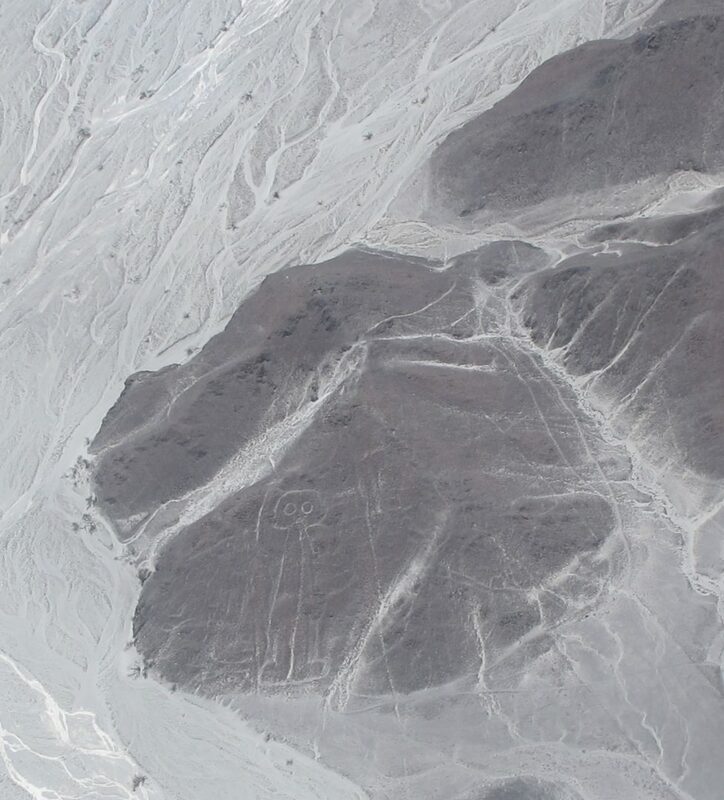 The Spoked Traveller | Throw up over Nazca Lines? 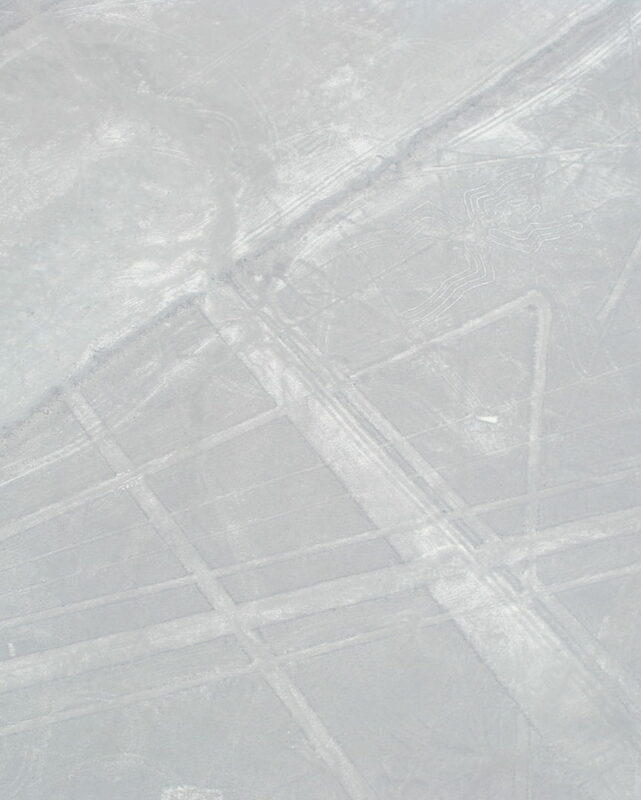 Throw up over Nazca Lines? 03 Mar Throw up over Nazca Lines? Ok, I didn’t, but I really, really wanted to vomit in the plane flying over the Nazca Lines. Mel, you didn’t have enough of that last week? Imagine, one of the most mysterious, and oldest geoglyths dating back 500 BC, and my reaction is to spill my guts. Crammed into the back of a Sesna plane, the pilot had airshow aspirations diving into the earth to give us views worth snapping. When he wasn’t pulling these ‘air-show’ stunts, the plane would unexpectedly drop –just for kicks–which had me grabbing for the bag in the front seat. Didn’t help that in Nazca, the city, it recorded 36 degrees; add to that six sweaty tourists in a tin can, and it was more like 45 degrees. Oh, and the guy in front of me kept sticking his elbow in my face to get, ‘that-perfect-shot.’ Buddy, you have no idea what kind of storm is brewing in my belly, which might just go your way. It’s an alien? Sure, or an ancient Care Bear? Hard to get pictures: the white earth was blinding! But, nausea aside, they were pretty spectacular. I mean some of these guys reach over 200 meters wide, including little aliens, a dog, hummingbird, and my favourite, a perro (dog). 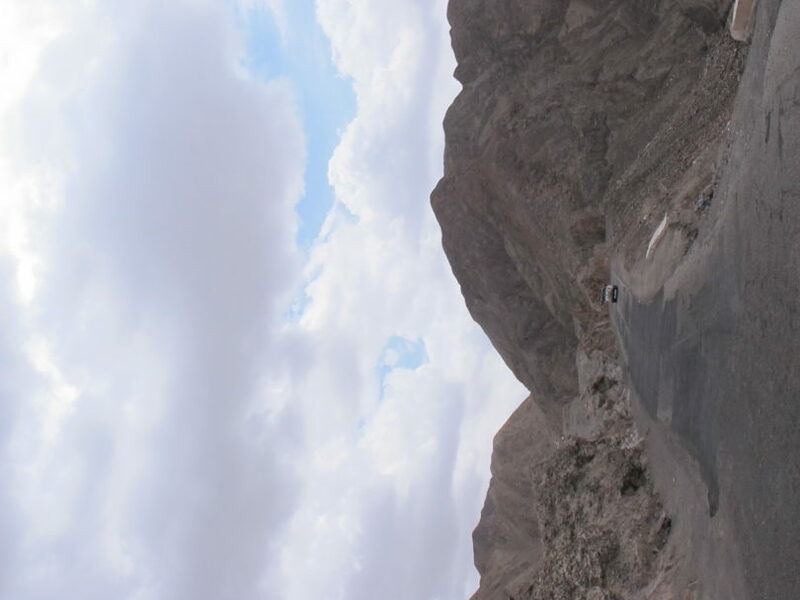 The shapes span more than 500 kilometres through Nazca and nearby Palpa. And if you drive past Palpa, the neighbouring region, some drawings include little families! Quite adorable really. Oh, I forgot to mention that it wasn’t cheap. Buy caro in fact. It’s $60 US for the flight, and then you got to get there, which for me was at least double that. Culture costs! I was still feeling queazy so I hired a taxi to take me back — two hours!– to Ica and my hostel with a pool. 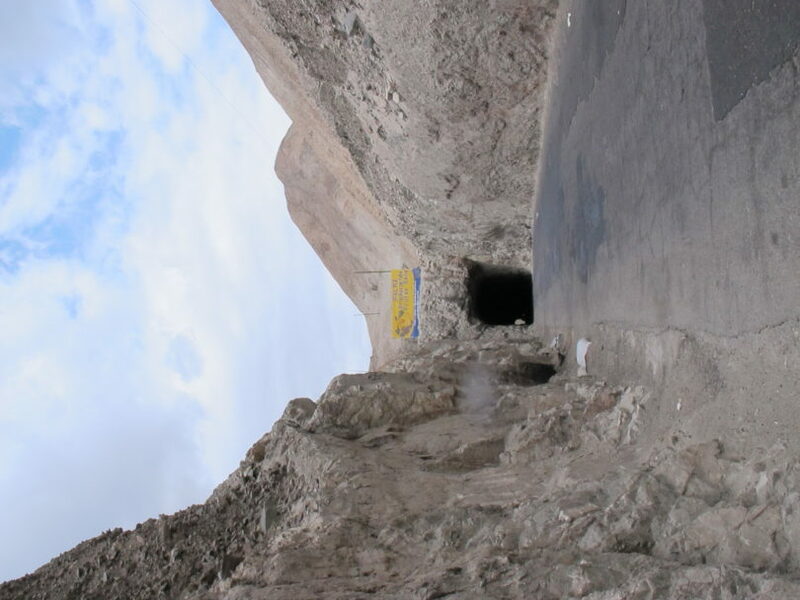 On the way back, the driver took a different route that was parallel the usual PanAmerican Road, but wow, this route cut through the mountain side: tunnels in the rock! Impressive. 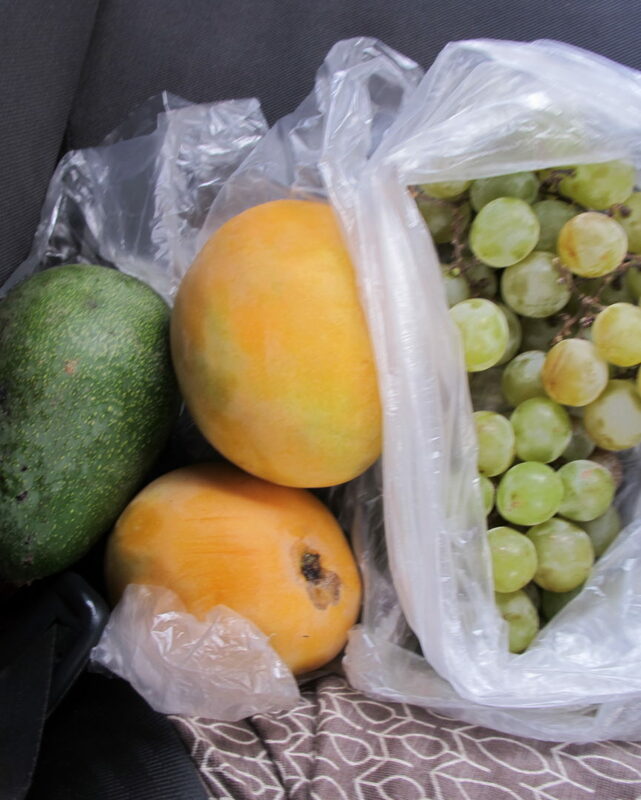 And, as we drove on listening to his classic Disco extended mix of Laura Branigan, gulp, and made a quick fruit stand stop for mangos, avocado and grapes (about $1), I thought about how I loved this part of my day the most: the unexpected detour. I don’t like small planes; was up in one with my brother-in-law flying (he’s totally licensed and experienced), and I thought, “Nah, not so interested. I could easily die.” But sometimes you gotta put your life on the line, and we’re all glad you did! That first image I thought was a child sucking their thumb! Are these the Peruvian equivalent to crop circles? The detours are the best (unless they’re not); glad you had a good ride home. Stay safe, Mel!